Double Futon Bunk Bed + Choice Of Futons + Optional 3ft Mattress A fashionable bed, even for the trendiest of child. 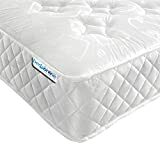 The top quality, and strong, robust construction, ensures that we as parents can sleep soundly. 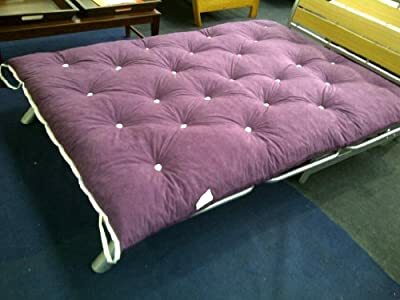 Our double futon is a Foam Flake futon cushion we include for convenience, we don't add any profit into the futon to keep the price as low as possible for you. 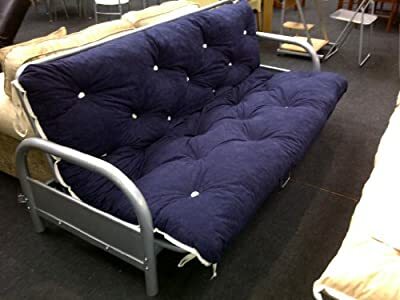 Made of Shreaded Reflex Foam, our Kayflex Futon Mattresses offer superior support compared to traditional materials used to make these mattresses, making them great, not only for occasional use for your guests on Futon Sofa Beds but comfortable for every day use. Please select your colour choice from the dropdown above. 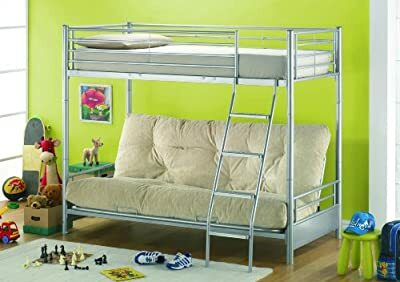 The high sleeper bunk is made with solid, heavy iron metal with an aluminum finish. It isn't a super shiny silver, it's a subtle sheen. Requires self assembly. If you get stuck at any point when assembling, please don't struggle if you contact us we'll do our best to advise. 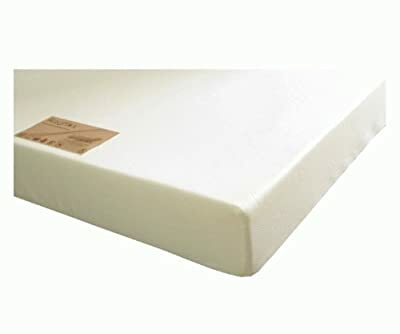 Kayflex EcoFlex Foam Mattress Specification: The Kayflex Ecoflex 15 mattress consist of 15cm of high quality reflex foam available in both a firm and soft feel offering fantastic value for money. 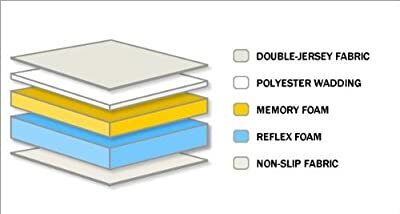 The mattress is covered in a high quality quilted damask cover ensuring the mattress is strong and durable A foam quality mattress provides firm orthopaedic support when used on either a divan base or a bed frame, helping to maintain the correct alignment of the spine and neck for a healthier and comfortable night sleep Kayflex Bronzeflex Memory Foam Mattress Specification: The Kayflex Bronzeflex Memory Foam Mattress consists of 15cm of high quality reflex foam topped with 2.5cm of high density memory foam with a thick quilted removable cover this mattress is built to last, memory foam has great benefits and offers extra support for your back, the memory foam moulds to the contours of your body ensuring all of your back is supported giving you a great night's sleep. Business days only (Mon-Fri), excludes Weekends, bank holidays and any other public holidays. If we dispatch an item on Friday, it will arrive on Monday. Dimensions: L200cm W96cm (when futon flat 148cm) H168cm Double Futon Bunk Bed + Choice Of Futons + Optional 3ft Mattress Once an order has been placed we can dispatch it within 48 hours* via a Next Day delivery service with our couriers. Note that on dispatch, the service used is Next Day delivery between 9am till 5pm.The Couriers cannot call before delivery and no time slots can be given. We can only dispatch to the address given on the order. We cannot change the address for security reasons. 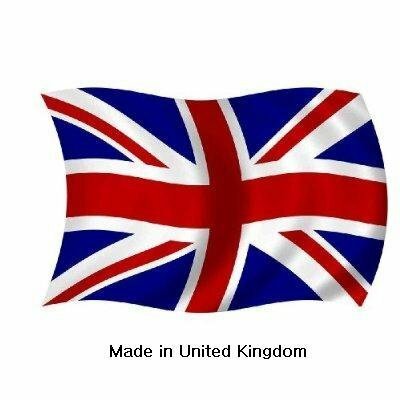 We dispatch to British mainland only. We do not dispatch to N.Ireland or any Channel Islands. Delivery dates cannot be guaranteed. Online tracking information available on request only.